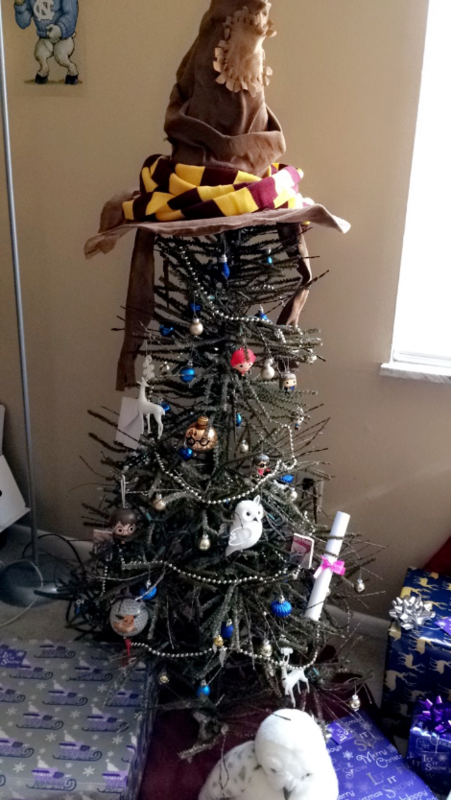 My boyfriend and I decided on having a Harry Potter themed Christmas Tree! 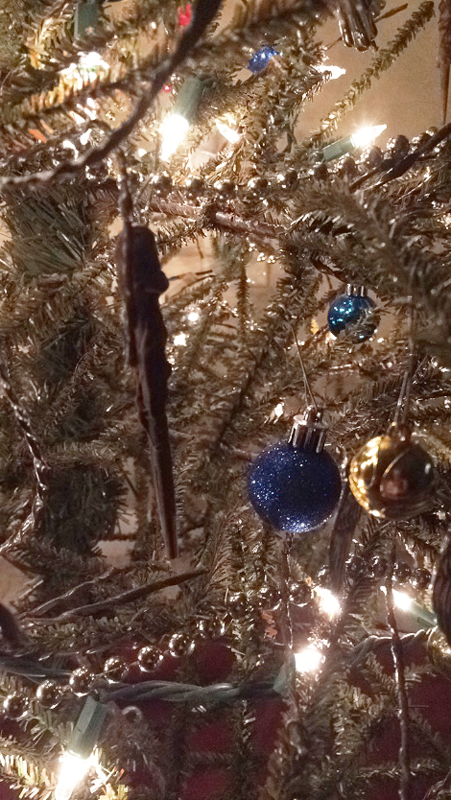 Ornaments can be expensive around this time of the year so I decided I would make some Harry Potter ornaments to put on it. 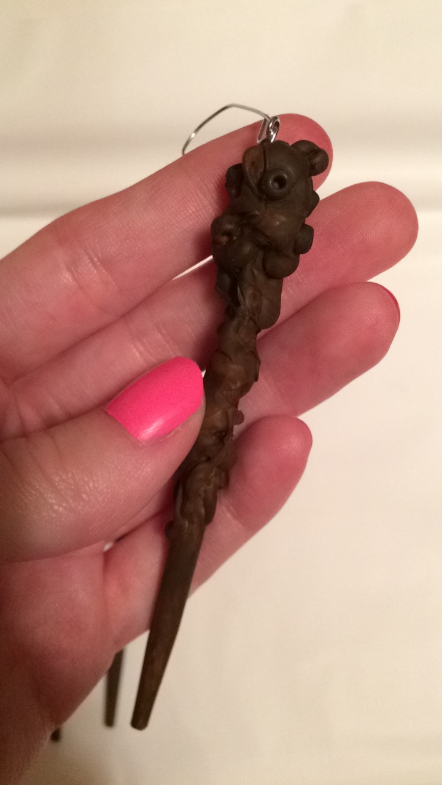 Making magic wands out of chop sticks is super easy and affordable. 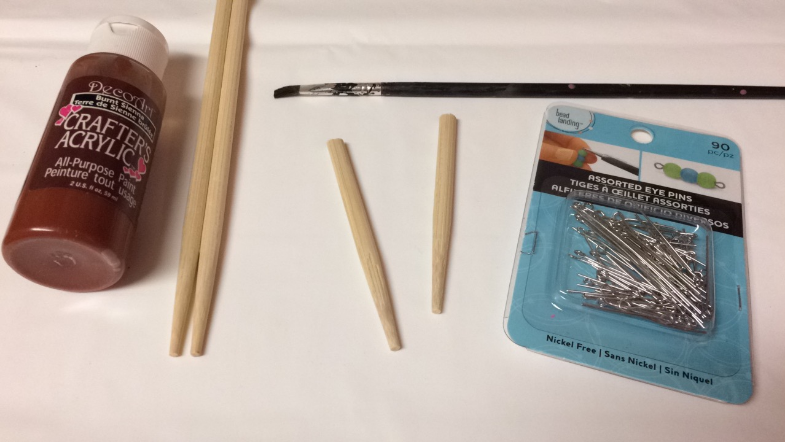 You can get chop sticks for free when you order Chinese food and most of the stuff I already had laying around the house anyways from other crafts I’ve done! 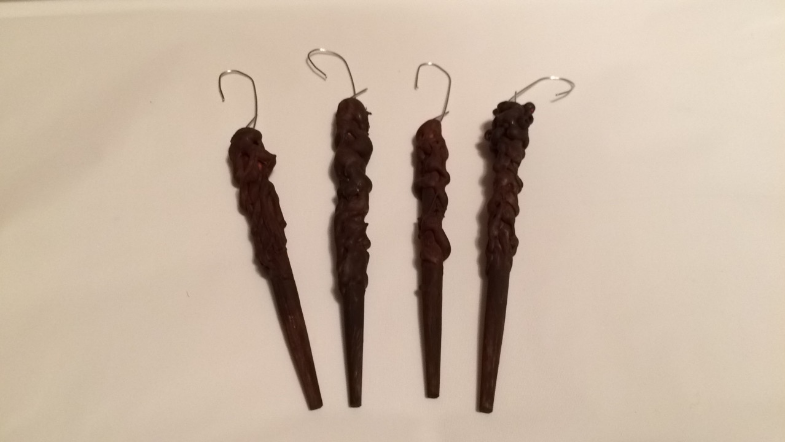 Below I have what materials you’ll need and how I created these awesome magic wand ornaments! Enjoy! 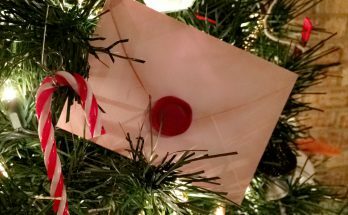 Also I have some other DIY’s on Harry Potter ornaments such as Harry Potter Envelopes and Harry Potter Book Covers in case you are interested! [Step 1]: Break your chop sticks. 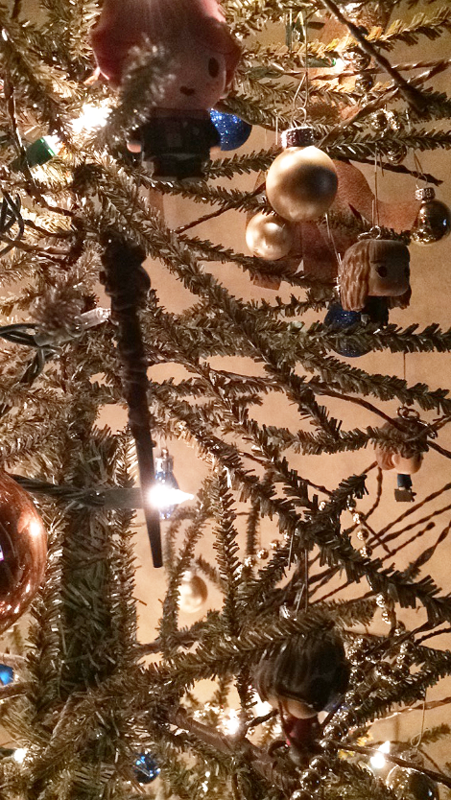 First thing you need to do is decide how long you want the magic wand ornaments to be. We have a 4.5ft tree so I didn’t want to use the whole chop stick. Once I figured out where I wanted to break it I just used a knife to saw it a bit and then broke it. It doesn’t have to be broken perfectly because you’re going to put a lot of hot glue at the top to cover it. [Step 2]: Hot glue time! 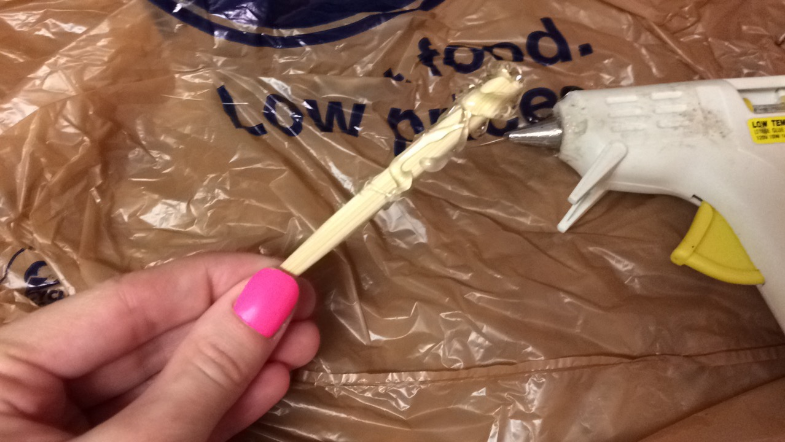 Plug in your hot glue gun and once that is hot enough you can begin squirting hot glue all over the upper part of the broken chop stick. This can be done however you like. Have fun with this! 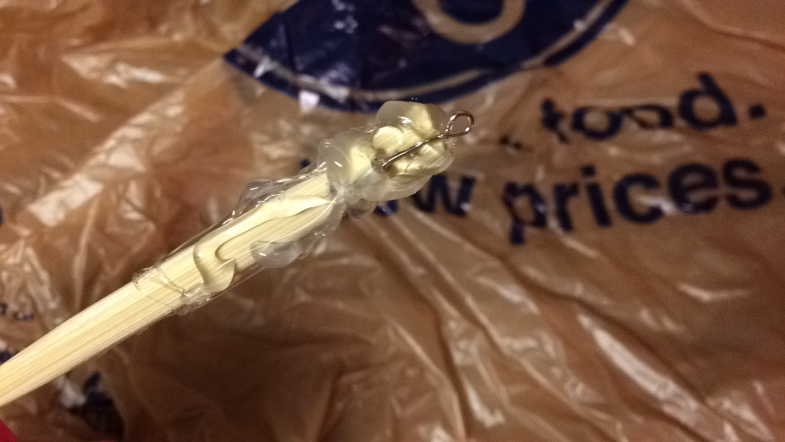 [Step 3]: Attach eye pin. Hot glue dries really fast so while it is still hot stick an eye pin on so you will have a way to hang it on your tree! (optional) – you can add some beads to the hot glue if you’d like to give it a different look. 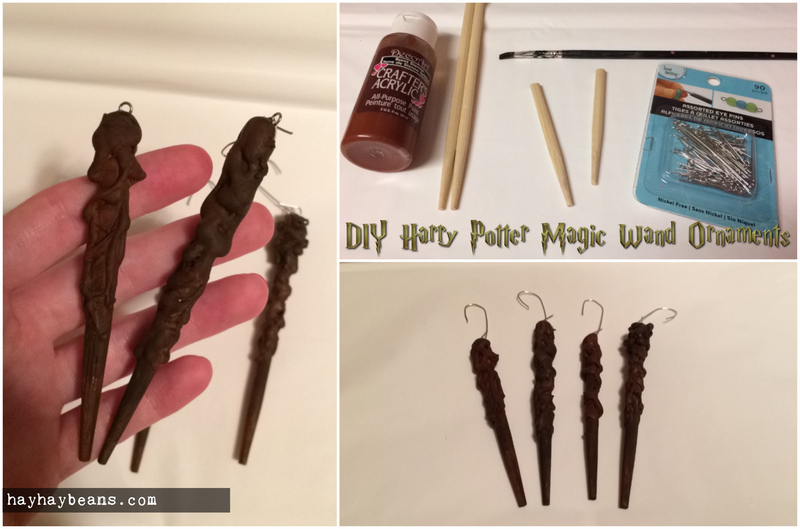 [Step 4]: Paint the magic wands. 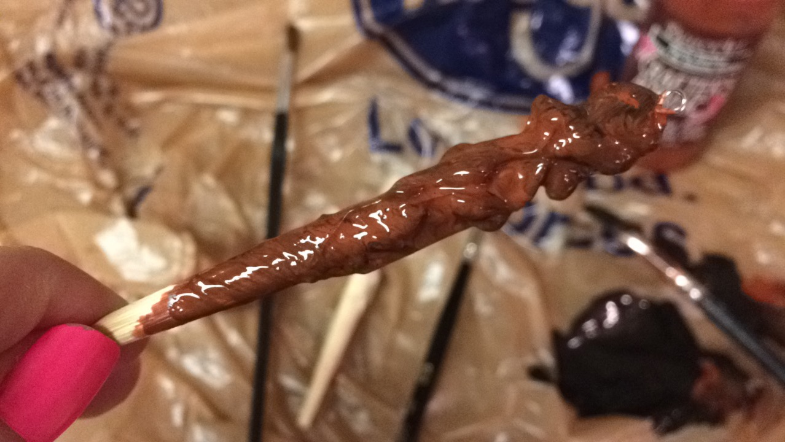 I started off painting the wands with a brown color and it was too bright of a color for my liking so I mixed in some black paint to make it darker. 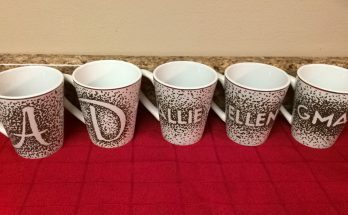 I wanted them to have an old rustic feel to them. [Step 5]: Let them dry and add a hook/string. The one above is what it looks like if you add beads to the hot glue! These are super easy to make and can be made with stuff you might already have laying around the house! 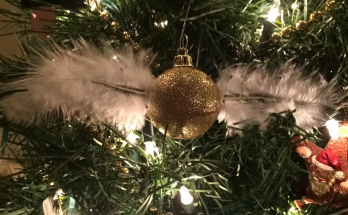 I have a few other ornaments I have made for the tree and I will post a DIY for those as well so be on the lookout for those! 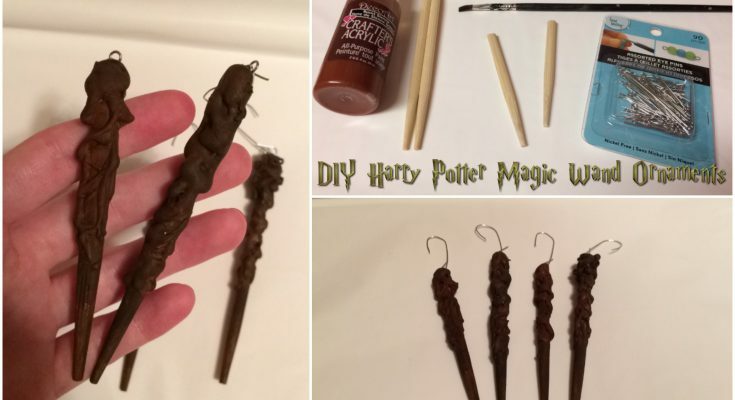 Leave me a comment if you make one or have made any other Harry Potter themed Christmas ornaments before!